Nestled in the heart of East Texas, the Tempest Development at Tempest Golf Club is luxury lifestyle living in this master planned golf community. With home sites bordered by acres of woodlands, creeks, and ponds, Tempest Golf Club offers acres of rolling hills, bluffs, treed valleys, tranquil ponds, and undisturbed green space from which you can choose your dream home site. One of the biggest advantages of living at Tempest Golf Club is its close proximity to Dallas and Shreveport without the hustle and bustle of the bigger cities. Just 100 miles from downtown Dallas and 60 miles from Shreveport, the Tempest Development of Tempest Golf Club offers the best of both worlds – a small rural atmosphere with the nearby conveniences of a big city. 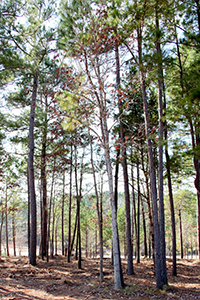 The natural terrain overlooking the par 72 golf course makes it a one of a kind development in East Texas. One of the most important factors that distinguish the Tempest Development at Tempest Golf Club from any other community in the area is our dedication to preserving the natural environment and wildlife habitat of the area. Residents have ample opportunity to enjoy the natural beauty while participating in sports or leisure activities. You may contact Agent Melanie Till for more information. Discover how the Tempest Development at Tempest Golf Club and see our one of a kind property today!